I like days when I can just come up with some thing quick and easy for my ajebutters and I. It is not everyday that I like to spend elaborate hours in the kitchen making a particular meal. Sometimes, I just want to spend 15-30minutes and call it a day and this recipe was a winner. Yes it was the one that won! 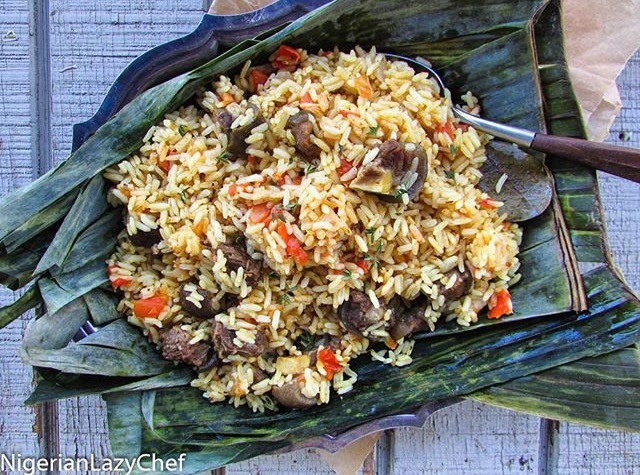 in a medium pot, heat some oil and sauté the onions until almost translucent; then add the chopped goat meat and sauté until the goat meat is well browned, but not burnt. Add the chopped tomatoes, peppers, garlic, ginger, curry, knorr cubes, thyme and the bay leaf. Sauté until the tomatoes have reduced. 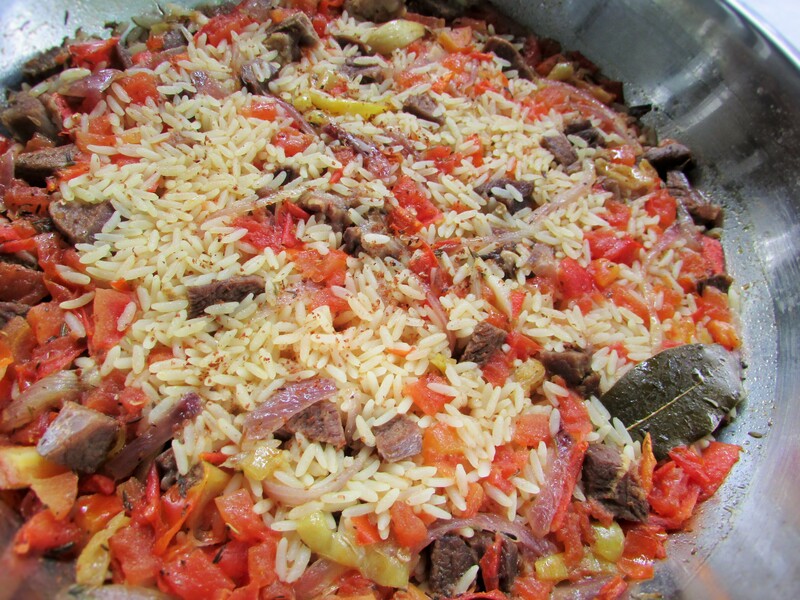 Add the rice and sauté with the tomato mix; until every grain is coated with the sauce. I used meat from a male goat because they cook faster as they are softer. Female goats have a more tougher meat. You may add some basil or scent leaves to your pot after cooking for more flavor. 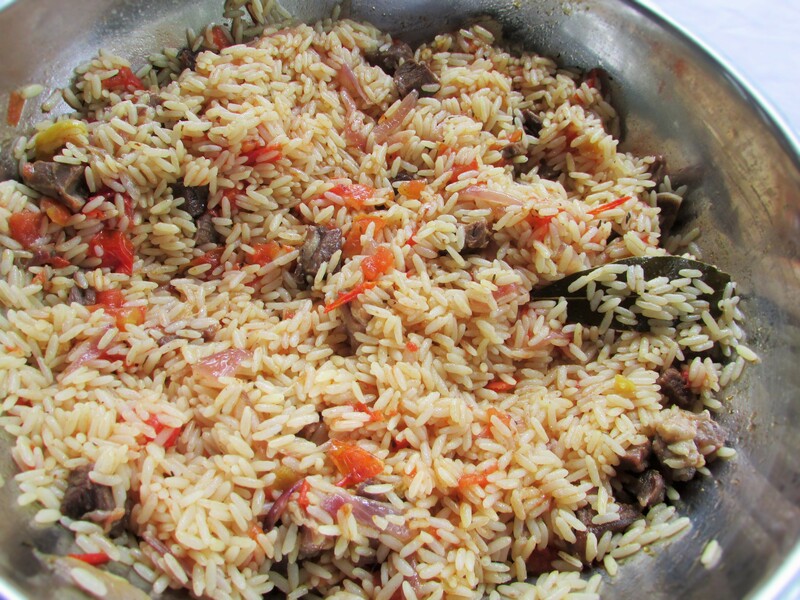 This entry was posted in Carbohydrate, Lunch, main dishes, main meals, Rice, Rice Dishes, Rice Recipes, Uncategorized and tagged Fried rice recipe, Jollof rice recipe, Quick rice recipe, Rice recipe, rice recipes, Rice saute recipe. Dearest Nma, thank you so much for sharing. I made this today and my entire family loved it. I’m going to serve this as a special at my restaurant and name it after you “Nma’s goat and rice stir-fried”. Thumbs up to Nma.made this dish with beef and wow it tasted soo good.made a small portion and was hoping to leave some for my husband to taste when he gets back but mehn he would have to wait for d next set.